Things seem to be gathering at pace down in SE7. First there is the planned protest outside the West Stand at 2.30pm. Then the some may say cynical quick announcement of the family zone being 're-launched' and moved to, ahem, outside the West Stand. Leading many to accuse the Flemish hierarchy of using young supporters as a 'human shield' to throw a spanner in the works of the afore mentioned protest. (To be honest I've heard from a usually militant and anti RD source that this was always going to be the case anyway). Add to this Sir Chris being suddenly available for work (I have to say, on the back of an excellent display away to Reading, his sacking was a bit harsh, as was the Huddersfield's boards statement that it was because they have decided to take the club in a different direction) whilst we wait with baited breath for KM to carry out another exhaustive search for a full time head coach. I'm no apologist for the fact I think Chris Powell and CAFC have unfinished business, let's face it, the guy keeps coming back again and again. Sprinkle in the ridiculous statement from Fraye about Conor Mcenleys loan stint being cut short because there is no room in the squad for any players who are not committed to the cause (I'd say there actually is lots of room in the squad for anyone fit, who has ever kicked a football, even my Mum. Or an untested under 18 striker! Poppycock Fraye. I liked you whilst Riga was in charge, but you are becoming a real network Flemish sound bite lackey). It's all looking like heading towards something of a roller coaster ride, no change there then. I'm just hoping it's more for the current ridiculous board rather than our supporters. Duchalet nearly (in fact he eventually did) threw the towel in when Standard Liege supporters kicked off back in Flemland, the problem we have is there's an ocean between SE7 and him, so he's not as likely to feel the heat as much as he did back then. 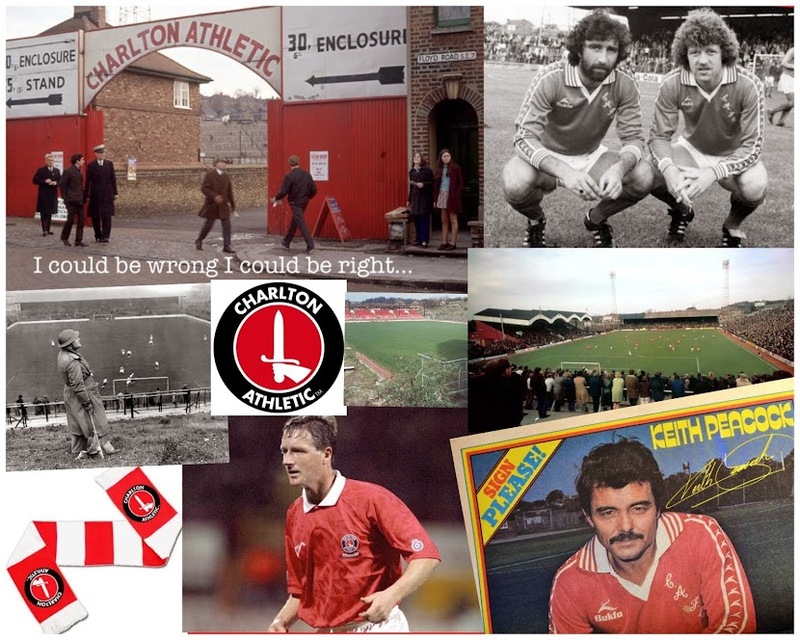 Personally I'd like to see a robust, sensible and intelligent (typical Charlton style) protest, and the Flems finally giving up the game and buggering off back to Flemland, with their collective tails between their legs. Let's stop kidding ourselves. These jokers are taking our great club nowhere. Not backwards, not forwards. They are simply watching Charlton slowly evaporate. All rather irritating, this 'talk to the hand' attitude, but based on past experience, there will only be one winner in this battle.